Herman Mulder, chairman of True Price, was honoured to announce the winner of the Inclusive Business Award in London. The award was part of the Tranformational Business Conference, held in London on June 11. 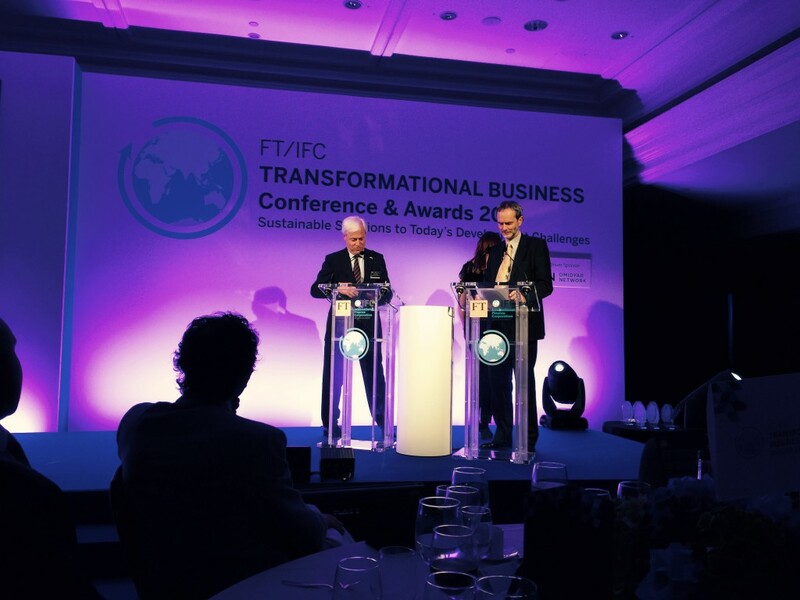 This year’s programme marked a decade of collaboration between FT and IFC on global awards initiatives that have highlighted ground-breaking, commercially viable solutions to today’s development challenges. For 2015, special attention was given to initiatives that address pressing structural needs in rapidly growing urban areas. A total of 191 entries were received from 167 organisations involving projects in 140 countries. This entry was posted in Board, True Price, True Price Media.